The spoon Antique made by ALANDIA Barware is an authentic reproduction of one of the most popular Absinthe spoons of the 19th century: The Losange spoon. It is made by zinc die casting (not shiny stainless steel) to give it a vintage, slightly tarnished finish. The spoon Antique made by ALANDIA Barware is an authentic reproduction of one of the most popular antique Absinthe spoons of the 19th century: The Losange spoon. 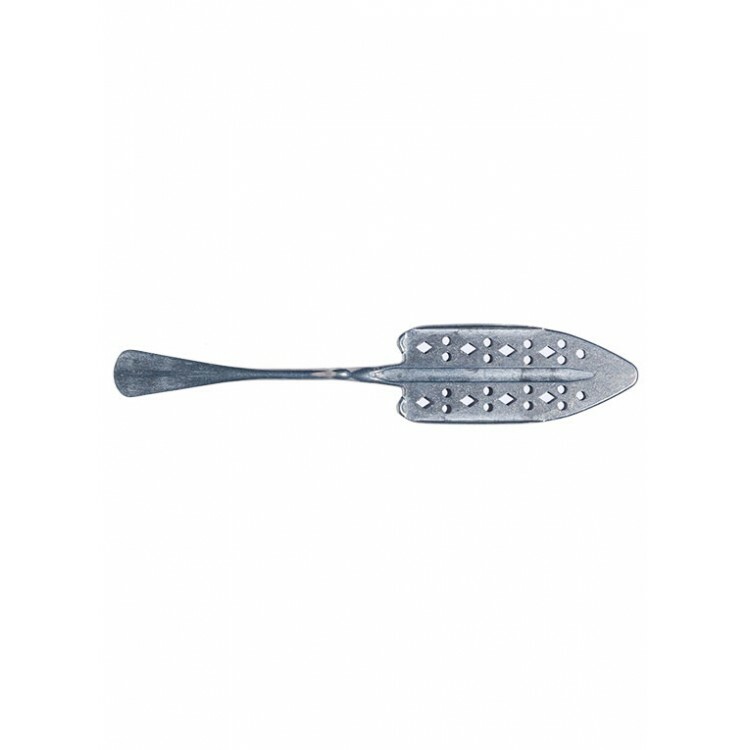 The spoon is made by zinc die casting (not shiny stainless steel) to give it a vintage, slightly tarnished finish. The material is very solide, therefore this spoon will last for centuries. Nevertheless you should always handwash the spoon, as aggressive dishwasher detergent can harm the surface of the spoon. 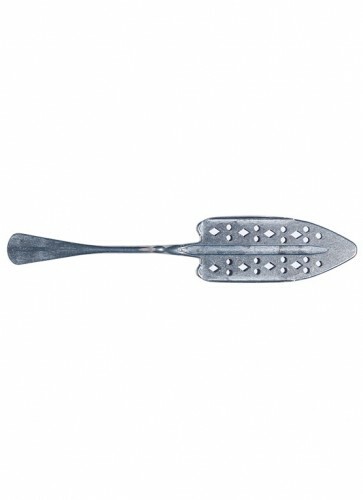 With its vintage look this Absinthe spoon resembles a real antique. Therefore we engraved the spoon at the backside of the handle with the ALANDIA crest, to separate it from antique originals. Literally, this spoon is one of a kind and we highly recommend it to any nostalgic Absintheur! 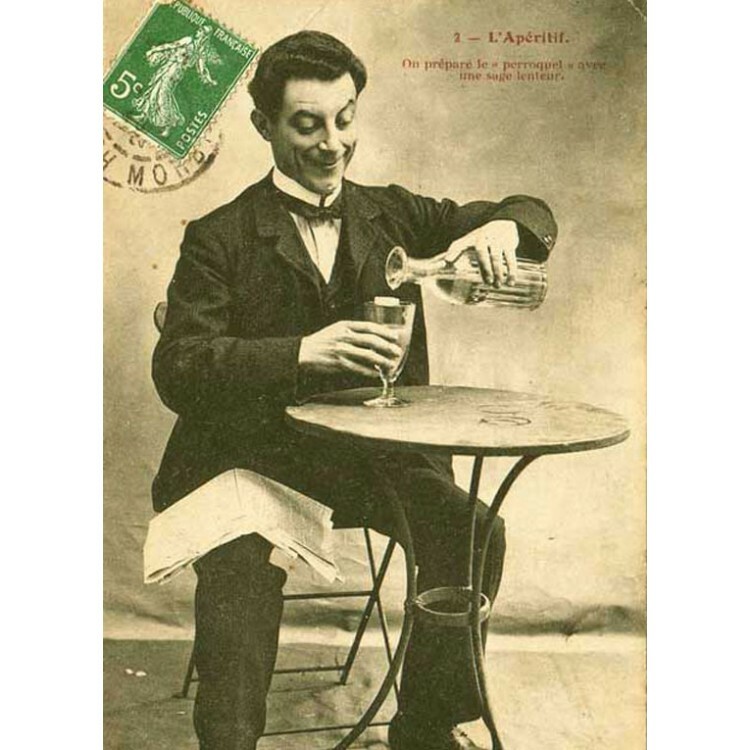 The original French way of preparation includes an Absinthe spoon, one or two sugar cubes, an Absinthe glass and ice cold water. You pour Absinthe into the glass (approx. 20 ml / 1 oz), place the spoon with the sugar cubes on top of the glass and add water. Santé! This spoon has a wonderful patina and solid weight. It looks and feels like a true antique. To my mind, unless you spend much much more, there is no comparison. 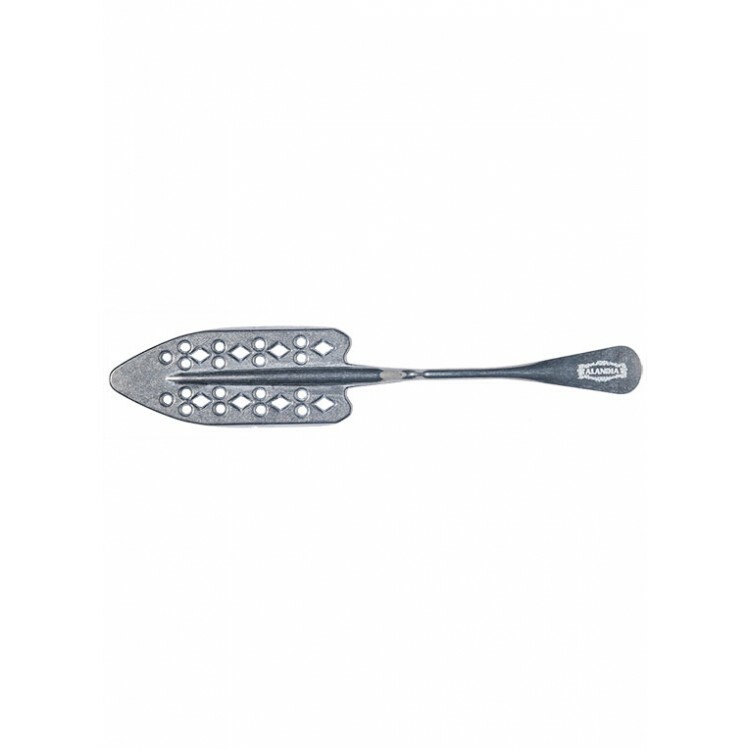 Best regards to ALANDIA for making a spoon like this available. Love this spoon, it has the vintage look as described. In the photo it looks a bit bright though, the spoon is darker. I will buy more!